With the holiday season upon us, many OAPSE members will give thanks for their many blessings. But this isn’t the only time of year during which OAPSE activists undertake community action projects to help those in need. 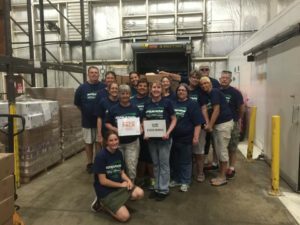 Last spring before school let out, OAPSE Local 400 members decided that instead of spending money on their annual summer picnic, they would donate to the Southeast Ohio Food Bank and Kitchen. The plan was the idea of local member Susan Wagner, who worked with the local’s then-president Kathy Van Bibber and Local 400 member and Southeast District President Tim Warren. “We heard from some of our members that we should do something for those less fortunate than us – people who needed it more than we did. So we decided to help people through our local food bank. But we didn’t want to just donate the $500. We wanted to actually help fill boxes and load the truck,” said Warren. A group of Local 400 members spent two hours at the food bank filling boxes with food and later loaded a truck for delivery to those in need. “It was a great project. We wore our OAPSE Making a Difference shirts. We enjoyed the time working together and really felt great about having an impact in our community,” Warren said. He noted that hunger is not a partisan issue. 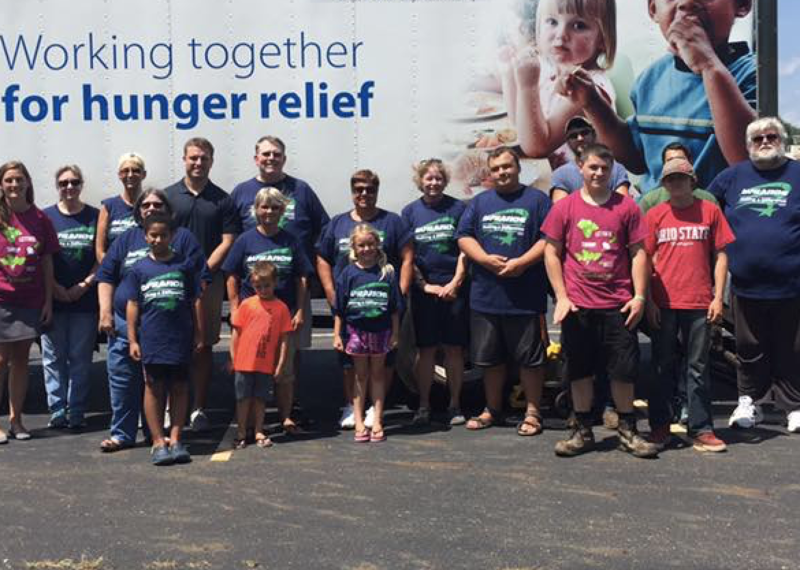 In fact, Republican State Representative Jay Edwards, from Nelsonville, worked with the group for their two-hour shift and loaded produce on the truck. “We all put politics aside and focused on making a real difference in our community. It was such a success for us as a local union because we were able to help and we showed our area that we care,” Warren said.